We can filter thse data using a Language called SQL, SQL (Structured Query language) helps retrieve, insert,update, and delete the data from the database. We can store large data in database and retrievs in the required data in seconds. We cannot perform database testing using selenium webdriver but we can use language ( java / python ...) APIs to automate the database in selenium. Selenium does not provide any utility to do database testing, You will have to utilize feature available in programming language. For example, if you are using Java, you need to add appropriate .jar file & write own method to read/write/manipuated data in database table. JDBC (Java Database Connectivity) is an java api (like Actions, Collections ...), basically JDBC api is used to connect the databases with application using Java language. JDBC connects almost all the databases present in current market like MYSQL, Oracle RDBMS, PostgreSQL, SQLite and few more databases. JDBC supports basic SQL functionality, It provides database management access by allowing user to embed SQL inside Java code. Load and register the JDBC driver. Create a statement object to perform a query. Execute the statement object and return a query resultset. Close the resultset and statement objects. This tutorial focuses on how to connect to the local system database using JDBC and manipulate the values from the database. For Using any extenal class we have to import the class from the other packages, sometimes same classes could be present under different packages. To use JDBC we have to import the below packages. We have to load the class to register our JDBC with database using Class.forName("com.mysql.jdbc.Driver");, this line of code tells the db that we are going use JDBC driver. Internally this Driver class will register the driver by using static method called registerDriver(). To connect with database we should call getConnection() static method present in DriverManager Class. password : password for the given database. getConnection method also returns the database object, we have to store this return value for future data operations in database. If your database is present in local machine then you can provide you localhost details and the port number. Below query connect to testuser database which is present in localhost (local system) using 3306 port number and username :rootUser, password :rootPassword. We have to create Statemenet object for executing our SQL queries on database, We can create the object for Statement by calling the createStatement() method from the connection object (we created in step 3). Now we have to form our SQL queries to execute them on the database, Queries like Select, Create, Insert, Update, Delete. We can execute our formed SQL query using executeQuery method present in stamenet object, Results from the executed query are stored in the Result Set Object. The Resultset maintains a cursor that points to the current row in the result set. 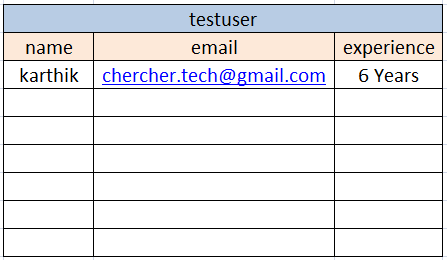 Once we receive out result set we can manipulate the data, now below code will displays the all the recods present in the testuser table from the database. Tip for DB Programs : Never close the DB connection in try or catch block, always try to close connections in finally block. Scenario 2 : If you try to close the connection in catch block then there is a chance that when no exception occurs in try block, the code in the catch block never gets executed, so the connection to db will be alive even after our operations. Normally we can write the above program without using TestNG as well. We have used testNG for showcasing the automation tester that how database connections should look like inside the selenium webdriver testcases. URL may or may not have the port number in it, before accessing the remote server make sure you have the right access. Sometimes you also need to add ip address of your system to the remote server providers ( my hosting and remote server is present with hostinger). PostgreSQL is another databse management system like MYSQL, it is been present in IT market since 1995, PostgreSQL is an open source developed by curious volunteers around the globe. PostgreSQL is platform independent, PostgreSQL is also a fine choice, and it has some SQL language features that MySQL doesn't, like common table expressions and user-defined types and multi-language stored procedures. PostGreSQL Integration : Top of this page we have discussed how to add jar file for the JDBC driver, for running PostgreSQL we need JDBC and PostGreSQL connector jars. 2. Download the Current jar from current version section. 3. (On eclipse) Project > Right Click > Properties > Java Build Path > Add External Jars. 4. Select the PostgreSQL jar from your local machine and clock OK button. Ta Da, we are done with integration. Connecting to PostgreSQL in JDBC is similar to the connection we made with MySQL, Please follow below steps to connect to PostgreSQL. 1. We have to load the PostgreSQL driver and register it using Class.forname method. 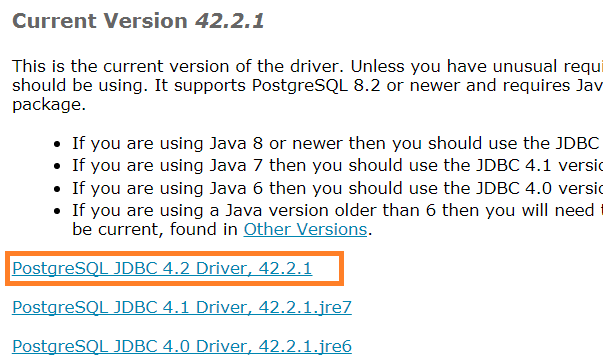 Note : JDBC 4 version onwards no need to register the driver, JDBC automatically loads and registers it. 2. Create connection to the PostgreSQL database using getConnection method present in DriverManager class. This emthod accepts Three parameter namely url, name , password. Url : Address and name of the database (Address is nothing but the ip address with/without port). username : User name for the db. password : Passowrd for the above user name. For executing SQL command we have to create the object for Statement class and call the executeQuery method from it. We will receive execution result as ResultSet, we can process the ResultSet by creating object to ResultSet class. 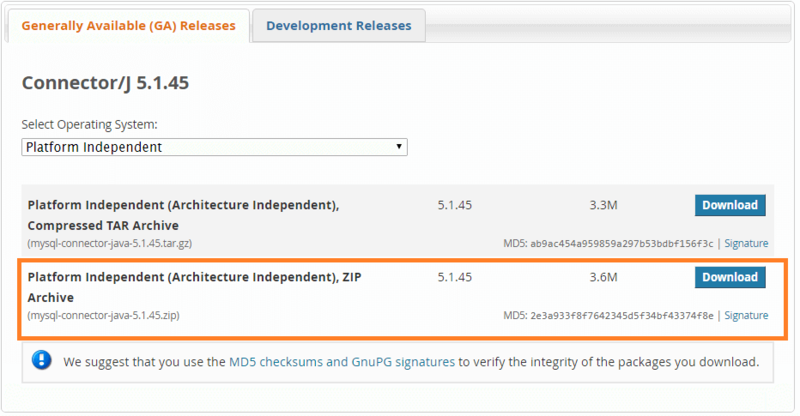 After performing the operatioon in the DB we have to close the connections of ResultSet, Statement, ConnectionManager. Please replace the url, username, password values using the details you got from the email. Complete program to manipulate PostgreSQL is present below.